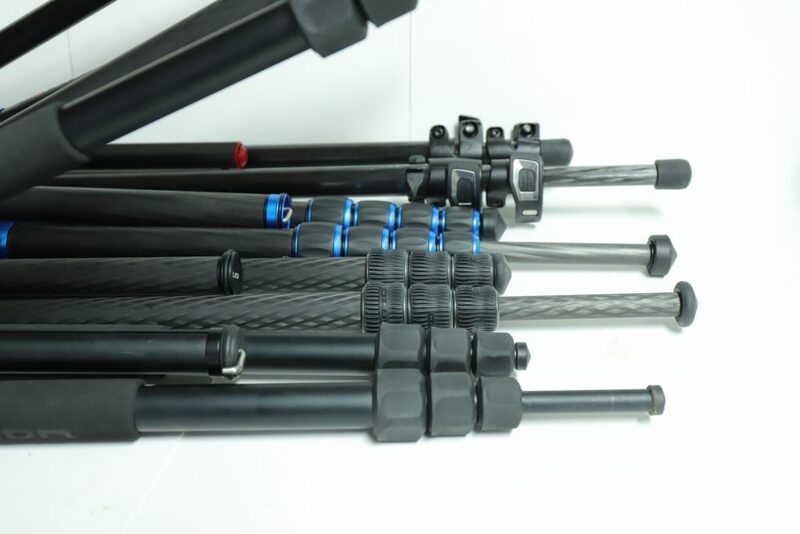 The bottom leg of tripods with four or five sections tends to be quite thin, with predictably detrimental affects on the stiffness of the tripod. So could extending the bottom leg section partway, and making up the height difference with the center column result in better overall stiffness? Here we are going to take a brief look at that possibility. The two higher end tripods, the Gitzo and the Manfrotto, performed much worse with the center column. The Mefoto was about the same, and the Induro was actually much stiffer using the center column instead of the lower legs. So it is possible! I would guess that this effect will only be positive when the tripod has four or five leg sections and the bottom section is particularly narrow. The legs and center column provide rotational stability in different ways. When the tripod rotates, the center column twists while the legs bend. The bending motion is much stiffer but if there is a sufficient mismatch in the size of the center column versus the bottom leg, the center column can actually be stiffer per unit of height. This is obvious if we visually inspect the tripods in question. From front to back we have the Induro, Gitzo, MeFoto, and Manfrotto. The very narrow bottom leg of the induro, and the somewhat larger center column of the MeFoto are apparent. I am not going to test every tripod I have in this manner. As a rule of thumb, unless the bottom leg of the tripod is around half the diameter of the center column or less, just use the legs at full extension. If you think your tripod might with some center column instead of the legs, try it out, and let me know what you find!